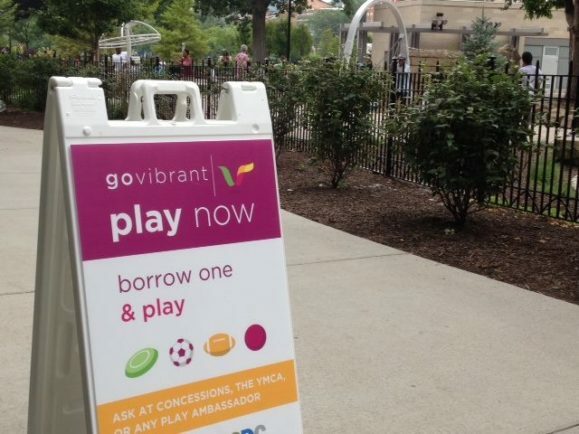 Head to Washington Park and check out go Vibrant Play Now where you can borrow frisbees, footballs and other sports equipment. 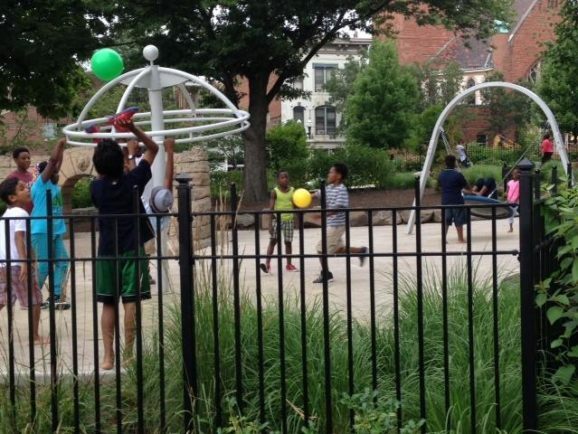 Look for the signs and just Borrow, Play, Return. Oh – and it’s free.